Hello! Today I am sharing a lovely valentine with the mayflower image from my Stately Flowers 12 set. This clean and simple design requires very minimal supplies, can be whipped up in no time, and adapted to any *season* or occasion switching out your main color. 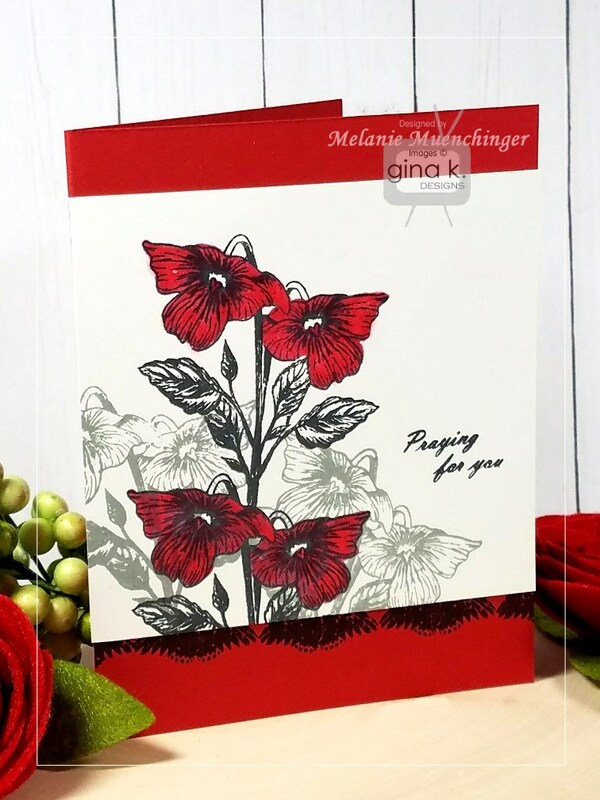 The gray stamping is soft and elegant and lends extra drama and punch to your colored flower. 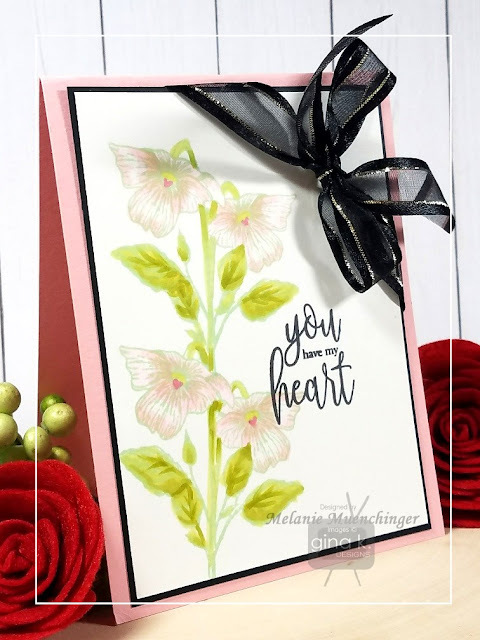 I also have a few tips for borders with the days of the week for the calendar and bold butterfly to create LACE, just in time for Valentine’s Day! Please enjoy! Have a good one! I really do think about you-my readers, customers,friends and viewers, every day! 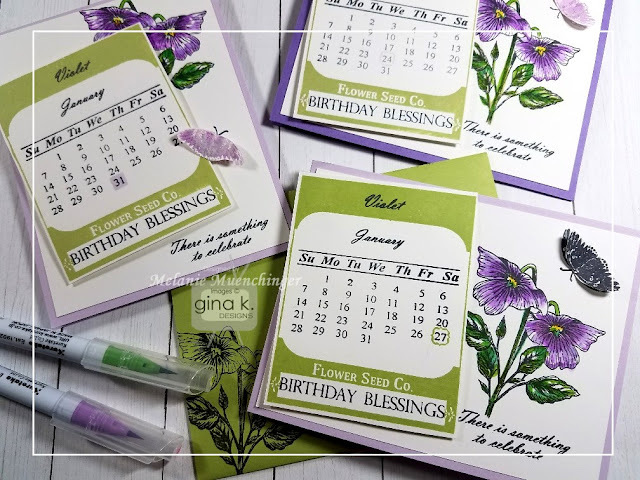 Video: Vintage Calendar with Stately Flowers 10 and 12 and Amazing Inspiration! Hello! 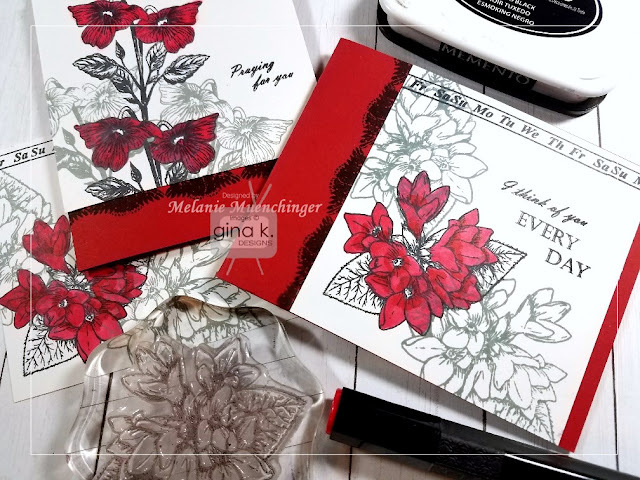 Today I am sharing another beautiful way to frame the mini calendar from Stately Flowers 12: the seed packet from Stately Flowers 10! I also demonstrate quick coloring for this new violet from Stately Flowers 12 with Zig Clean Color markers, incorporates greetings from both stamp sets, and show a simple way to decorate the inside, back of your card, and envelopes for perfect coordination. Please enjoy, and PLEASE watch to the end for a short story about why I made today’s special card*. You will LOVE it! Hello, everyone! Welcome to our third day of hops with the design team for our January release stamp sets, thanks for coming back! Today we are featuring Gina's newest StampTV Kit-Hearts & Flowers! (It's like my favorite kit ever I think!) Be sure to comment on each of the blogs as you hop because we will be going away three $25 gift certificates to Gina K. Designs, one each day! Comment for more chances to win! Check StampTV Big News Forum a few days after the hops conclude where the winners will be announced. Here we go! Isn't this flowering guitar pretty? 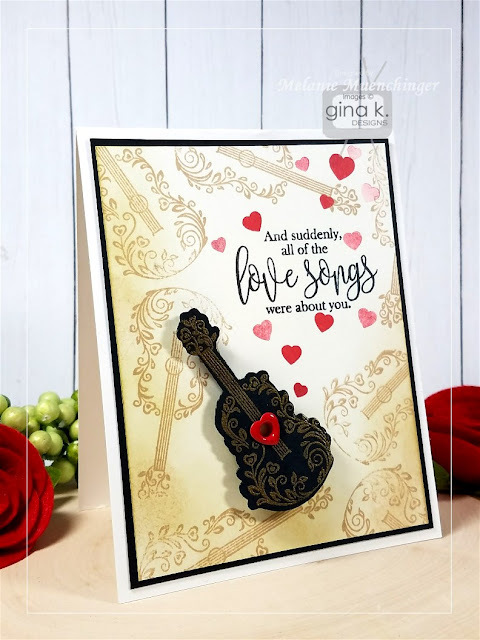 I wanted a vintage looking background to go with this romantic image and sentiment, so I stamped the guitar in Kraft and sponged the edges to age it. Next I embossed the guitar in gold on the GKD Black Onyx cardstock die cut. I had some heart eyelets that I knew would be perfect to add to the guitar, popped it up with foam squares, and then stamped a bunch of bold hearts in GKD Red Velvet swirling out and around the greeting. 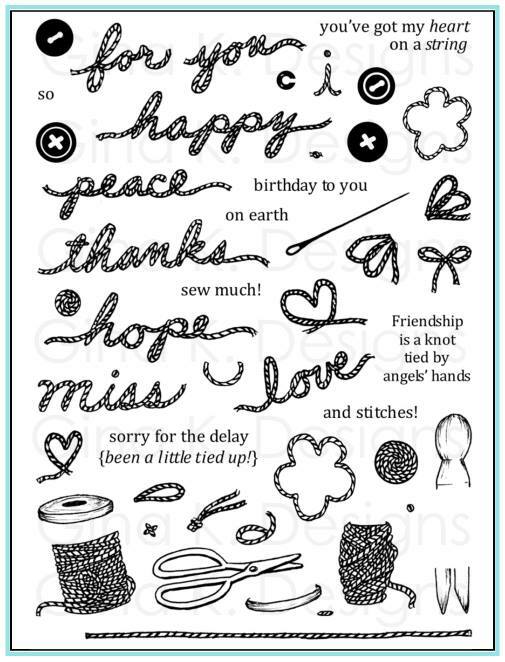 These stamps are music to my eyes! Next, what a gorgeous floral image and die! I stamped it in Memento Tuxedo Black and colored it with Spectrum Noir markers. 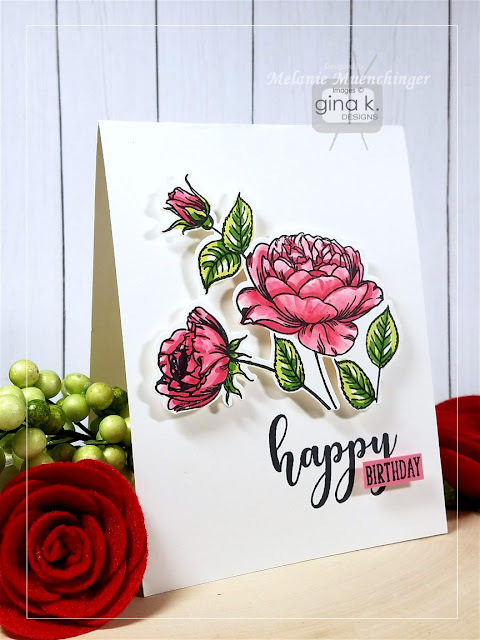 After stamping the greeting, I trimmed out the birthday in Dusty Rose cardstock, and popped up this and the flower on a White GKD Pure Luxury base. 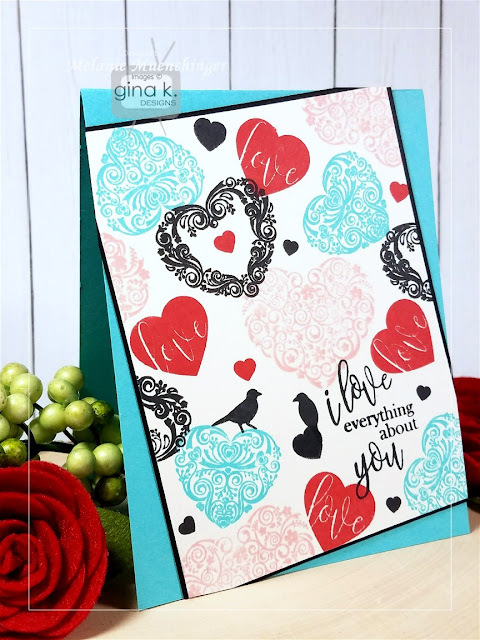 I loved all these heart images so much, so I stamped a collage background on Ivory in GKD Red Velvet, Black Onyx, Turquoise Sea, and Innocent Pink. I left a space to stamp one of the sentiments, and added the birds perched on two of the hearts. Cardstock is GKD Pure Luxury Turquoise Sea, Black Onyx, and Ivory. Finally, I wanted to play with these lovely floral layering stamps. I used Innocent Pink, Red Velvet and Black Onyx for the flower elements, and Jellybean and Grass Green for the leaves. 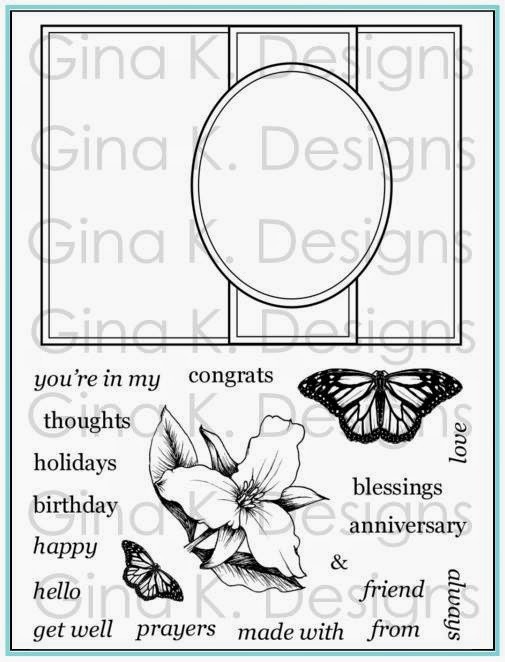 Chevron patterned paper is from the GKD Bold & Blooming pack, and I used the Gina K. Black Fancy Ribbon to make a bow. Card base is GKD Pure Luxury Dusty Rose. Finally, one more sample from me with the "You Get Me" Incentive Set. Love thee two fonts and the messages so I will be using these a LOT, as you've seen throughout our hops this week! 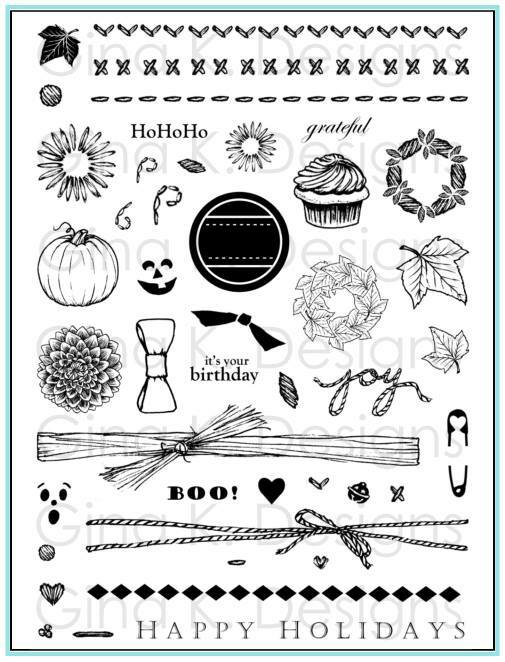 Here is one I made with my Stately Flowers 12 set. I stamped the violets in GKD Applemint and the colored them in pinks, for a subtle no line colored look. See the tiny hearts in the flower centers? 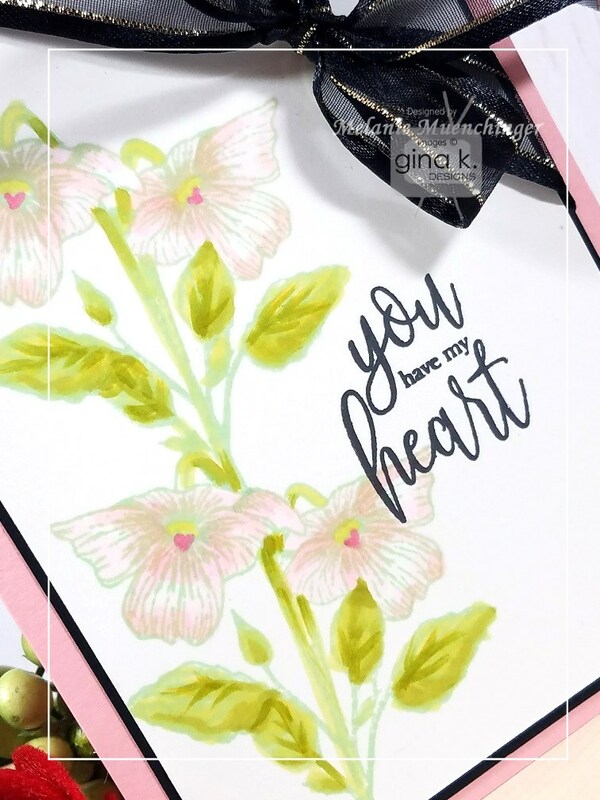 So fun for a valentine, and to go with this "you have my heart" sentiment! I added some of Gina's Black Fancy Ribbon to balance out the greeting, and make it *extra fancy*. Cardsotck is GKD Pure luxury White, Black Onyx and Innocent Pink. Sentiment is stamped in GKD Black Onyx. 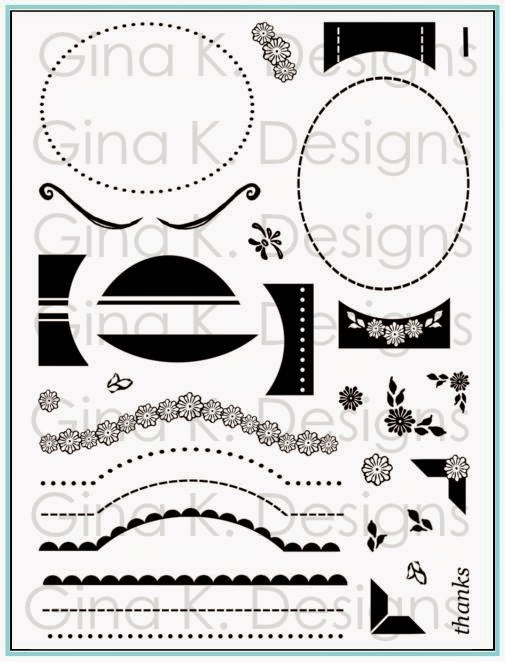 I just adore this little border of whimsical hearts that's included! This set is free for a limited time, with a $75 order! Ready for more inspiration from our design team? Let's hop to it! Melanie Muenchinger -you are here! Thanks for visiting!